Next winter, there should be plenty of quality major league arms available via free agency. Will the San Diego Padres spend money next season on a pitcher? If you haven’t heard, the Padres added $300 million to their payroll for the next 10 years. They almost added up to another $300 million as well, but thankfully for the payroll’s sake, Bryce Harper signed with the Philadelphia Phillies. If the Padres wanted to secure Harper to the same deal the Phillies signed him for, it would’ve been an annual $26 million added to the payroll, increasing an already high (for San Diego) payroll of around $110 million, according to Jeff Sanders of the San Diego Union-Tribune. 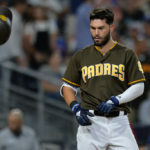 San Diego has locked up their infield of the future with a quartet of Eric Hosmer at first, Luis Urias at second base, Fernando Tatis Jr at shortstop, and Manny Machado at third base. 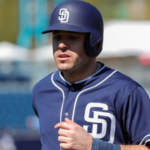 Even without Harper, the outfield is stuffed with options, as Wil Myers is set to man left field, Manny Margot will take a post at center field while Hunter Renfroe and Franmil Reyes are set to split time in right field. Travis Jankowski, even with his recent injury, and Franchy Cordero will serve as the backups with Cordero having the potential to swipe center field away from Margot in the near future. The Padres still have some questions, but it’s not considering the lineup; it is the starting rotation. 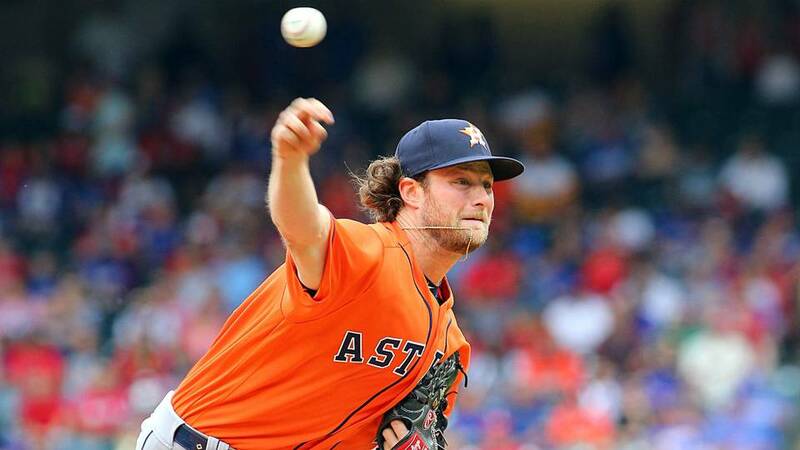 Yes, the cavalry of prospects is set to arrive sooner rather than later as pitchers like Logan Allen and Cal Quantrill are expected to make their Major League debuts sometime this year, with Chris Paddack hot on their heels. 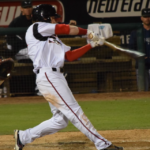 This is not to mention the second wave set to hit the Majors in the coming years as MacKenzie Gore, Adrian Morejon, and Luis Patino are highly-regarded prospects. However, the questions still remain in this year’s starting five. How will Joey Luchessi and Eric Lauer do in their sophomore season? Can Allen and Quantrill hack it at the top level? Will Luis Perdomo return to the rotation and, if so, will he rebound from a tough 2018 or flounder like last season? Can Matt Strahm fulfill his potential and carve out a role as a starting pitcher? All of these questions have Padres fans wondering if another trip to the free agent market is due, as pitchers like Dallas Keuchel are still looking for a major league team. 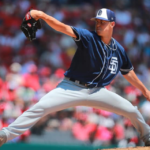 The former Astro makes sense for San Diego, as he would provide stability and leadership to a rotation that is easily one of the youngest in the Majors. The veteran Keuchel reached 200 innings for the third time in his career and he continued to post low walk rates, but he struggled to find a rhythm last season due to an inconsistent slider and high contact rates. Of course, Keuchel has his positives, but here is another theory to propose; wait. Sure, a pitcher Keuchel would fix a problem now, but next year’s free agent class, especially concerning free agent pitchers is a sight to behold. Pitchers like Chris Sale, Gerrit Cole, Justin Verlander, and Zack Wheeler will be available to test the waters of free agency after the 2019 World Series. 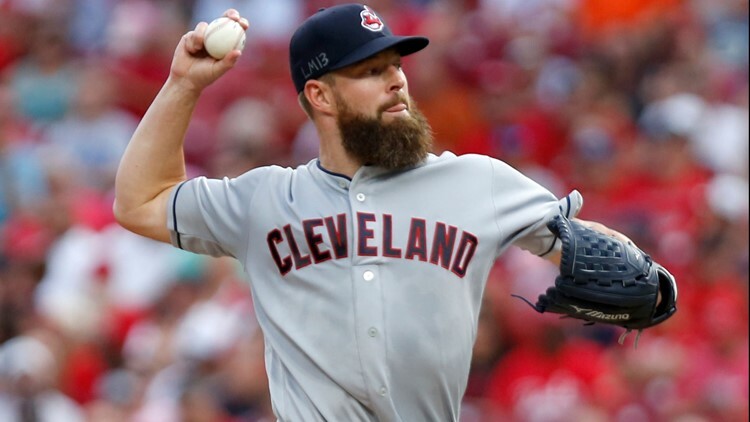 Assuming options aren’t exercised on the likes of Corey Kluber and Stephen Strasburg, teams will have their pick of the litter in terms of starters. Just like there won’t be another Machado or Harper on the free agent market (at least not for a while), the starting pitching crop is ripe for the picking. Keep in mind that it will be hard for each of these teams to keep their star pitchers without getting creative. In Boston’s case, not only do they have Sale as a free agent, but also Xander Bogaerts and Rick Porcello will be entering free agency after the 2019 World Series. J.D. Martinez also has an opt-out clause that, if he chooses to stay with Boston, will net him $62.5 MM for three years. Mookie Betts and Jackie Bradley Jr, who make up two-thirds of Boston’s outfield, are also going to be eligible for free agency in 2021 season. While the Red Sox may be hoping for Martinez to opt out, it is going to be extremely difficult for them to resign Sale, Betts, Porcello, Bradley Jr, Bogaerts, and Martinez to long term contracts without having to limbo under the luxury tax threshold. Also, the last three of that trio are represented by Scott Boras, who is well known for squeezing teams for the max amount of dollars. 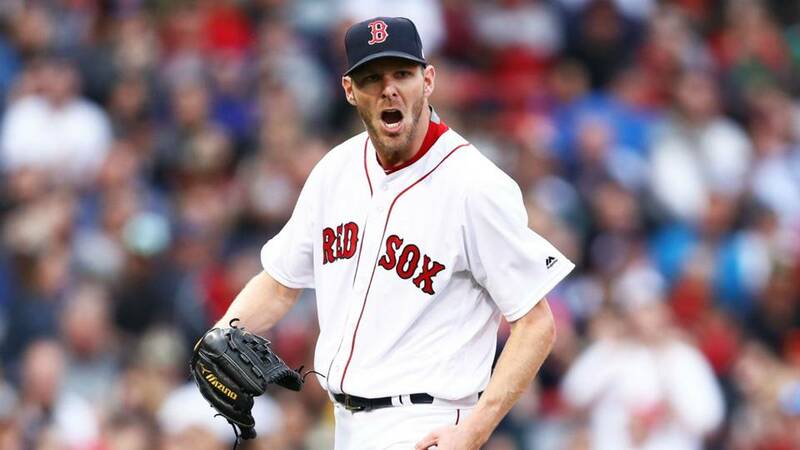 So, is Boston resigning Chris Sale? There is a chance and Sale has expressed interest in staying, but if Boston wants to keep most of their players who are leaving for free agency, they’ll have to pony up the dough all while having to limbo under the CBA tax threshold. Houston has a similar situation with Boston, but not as extreme. Verlander and Cole will want to cash in on big paychecks, the former most likely seeking a short-term, high AAV contract while the latter is looking for a long term deal to secure his finances. However, Houston has fewer players on long term deals with only Jose Altuve signed to a long terms deal. The time to pay Josh Reddick, Yuli Gurriel and George Springer is coming, but Houston will have slightly more financial flexibility then Boston. Contracts to Verlander and Cole will take a large chunk of that payroll, so it is reasonable to expect that the two will hit free agency depending on how Houston wants to spread the wealth. The Nationals are another team with payroll issues, at least in the short term. It is the reason they couldn’t resign Harper as they were already over the luxury tax threshold. The Nats also have to extend Anthony Rendon who, after the Nolan Arenado mega-deal, is looking to similarly cash in. If Strasburg decides to opt out of his deal, the Nationals may actually benefit in terms of payroll. This leads us to the last team, the Mets. Their owner, Fred Wilpon, has noted that he has been burned by signing long term contracts in the past and may be cautious with Wheeler. 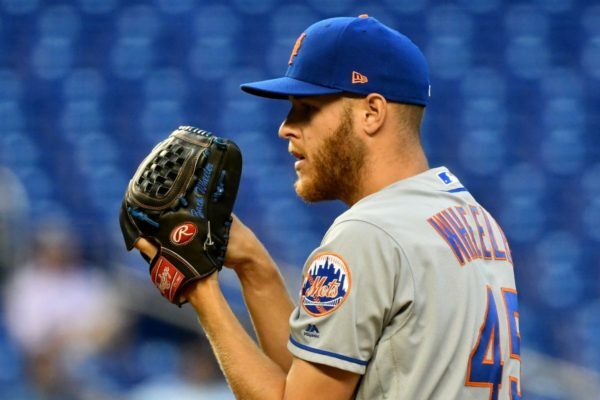 New York also wants to resign both Noah Syndergaard and Jacob DeGrom to extensions and, if they want to keep Wheeler in the rotation, it will be difficult to pony up the dough to all three players while staying under the CBA threshold. So, where does this leave the Padres in this situation? According to Cot’s Baseball Contracts, a part of Baseball Prospectus, the Padres are $79 million under the CBA threshold in 2019 and will have slightly over $108 million in space in 2020, second only to Houston’s $128 million. Even with annual paydays to Machado, Myers, and Eric Hosmer, a majority of the young core has yet to hit arbitration, meaning that there is still plenty of space in the coffers for one more splash in the market. There are multiple roads the Padres can take next free agency. Do they want another veteran leader to lead their young rotation? Verlander comes with a wealth of playoff experience having been to three World Series’ in his 14-year career. Cole comes with his own knowledge of the playoffs having played alongside Verlander in the World Series. Do they want to have a homecoming story to tell going into the season? 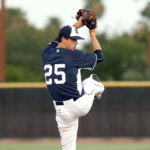 Strasburg is a native of San Diego and attended West Hills High School and San Diego State, located in San Diego. Or, do they want to sign another top-tier free agent and splurge on Sale, who has been one of the most dominant pitchers in the last decade? 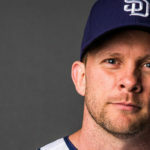 It is an aggressive move yes and, should the Padres overspend, it could impede on their ability to extend their young players and continue to hunt for potential championships. Add in the fact that a pitcher’s career can be derailed by throwing a single pitch, and there is the risk of signing one of these players. Only Cole will be under 30 by the offseason as Wheeler will be 30, Sale and Strasburg will both turn 31, and Luber and Verlander will be 34 and 37 respectively. To every deal, there are pros and cons. With the Machado signing, San Diego is on the map and are ready to retire the tanks. The lineup has been carefully constructed, but the rotation needs that last piece. Chicago had Jon Lester. Houston had Verlander. Next offseason, it is time for Ron Fowler and company to roll the dice one last and sign their ace. Cap space? CAP SPACE??? 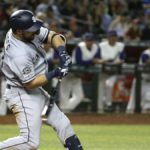 To reach the cap ($208M in 2020) the Padres would have to lay off everybody but the major league coaches and the ticket sellers. Until the Padres lose all the dead money after 2020, they probably wouldn’t have enough for an ace without hamstringing future moves, unless attendance got up to 2.6M to 2.7M. That’s about a half million more tickets than last year. Yes, I know – Manny – but you don’t spend your ticket revenue before you sell the tickets. Besides, having an ace isn’t necessary. The Brewers won 96 games last year, and you know who their ace was? Jhoulys Chacin! Does that name ring a bell? Better to act now. Waiting for a specific player is too uncertain. Just ask all those who were certain signing Harper meant he’d be joined by Trout in 2 years, oops. Plus, for a good farm system club like SD, there is value in trading players off the 40 man roster.